On the weekend before world leaders gather in Paris for the UN climate summit, millions of people will gather in cities throughout the world and march together for global action on climate change. Good Samaritan Sister Veronica Quinn is one of those who’ll be marching. I’ll be marching for any number of reasons. I’ll be marching because I grew to adulthood in a world that had never heard of climate change and must take responsibility for my actions and sense of entitlement. As Maya Angelou, the wonderful African American poet, said: “While I know myself as a creation of God, I am also obligated to realise and remember that everyone else and everything else are also God’s creation”. I am fortunate to live in a ‘first world’ country and enjoy all it has to offer. I experienced the many benefits of coal-fired electricity and can vividly remember going on tours of the Yallourn open-cut mines in Victoria and marvelling at their size. Coal power has provided me with the ‘essentials’ of hot water, instant lighting, heating and cooling, all of which I assumed as a right. My family and I, like most other Australians, were naïve enough to think that if we could pay the bills then we had contributed our part of the bargain. The fact that, as a child, I can remember a pall of black smoke from the mines over one of the most beautiful and fertile areas of Victoria, where my extended family has farmed for half a century, was never a concern. It was a fact of life. There was no awareness back then of the long-term damage these mines were doing to our planet. The Australian economy was riding on the back of the coal industry, which we now know is the biggest contributor to greenhouse gas emissions. Granted, at the time there was no notion of climate change, but there was certainly an aura of ‘entitlement’. These days, when I visit the local primary school, I am heartened to see the children learning about climate change and developing strategies for how they can do their part in mitigating its effects. Our planet is their inheritance and I wonder how I can talk with them about love of God and the wondrous gift of creation if I’m not prepared to do my part. They have had no responsibility in fashioning the state of our contemporary world, our planet, our biosphere – yet they will live with the consequences. How can I not march for them?! I’ll be marching because I can! Often I feel overwhelmed by what is happening in our world today and at a loss as to what I can do. This is something I can do. I’ll be marching because I believe in people power. Climate change is an issue that extends beyond any boundaries of religion, culture and social status. It involves us all and requires the best of us all to make changes. I’ll be marching because so many in the world do not have the political freedom to march or are so busy surviving this day that the long-term future is not a priority. I’ll be marching because I have a hope that the issue of climate change can unite our fragmented world. Perhaps for the first time we are being forced to concede that there is more that unites us than divides us. In the second half of the twentieth century ours was a world that was surging ahead with little regard for any associated costs. It was a world where everything was evaluated in terms of profit and loss and humankind was the master of all; a world where there would be a cure to all illnesses and no more poverty. Never again can we be so naïve. We have seen, to our cost, the once-a-decade-storm happen each year. The floods that have occurred just the last few years in Australia alone have been memorable and devastating. The monsoons that so regularly poured water on our northern states have all but disappeared. The regularity of the rainfall can no longer be relied on. I’ll be marching because I believe the great sin of our ‘first world’ countries is to repeat the somewhat excusable blunders of history in full awareness of the cost to the environment and to future generations – all in the name of economic rationalism, profit and loss, financial gains. Our farmer forebears, whose primary interest was generating necessary agricultural land, were not conscious of the future environmental impact of tree felling, re-routing rivers, reclaiming deserts, clearing mangroves or the like. Our first industrialists were easily able to identify the smog and pollution that coal power produced, but were willing to pay the cost of that and the respiratory disorders and diseases that resulted, for the future of society and undoubtedly, the increased wealth of the powerful. We have experienced, both here and overseas, the catastrophic effects of coal mining, coal seam gas mining, nuclear power, deforestation and the like. We know precisely the environmental effects these cause, and have the scholarship and technology to develop viable alternatives. Yet for largely economic reasons we choose not to. The now defunct Climate Commission stated in 2013 that “burning all fossil fuel reserves would lead to unprecedented changes in climate so severe that they will challenge the existence of our society as we know it today”. In NSW alone, both the State and Federal governments are considering the development of over 91 new mines, in this, the most critical decade of earth’s history. This is not happening in some far-away country. This is happening in our nation now! So, that’s why I’ll be marching on the weekend November 27-29! Will you join me? Good Samaritan Sister Veronica Quinn is originally from Ballarat in Victoria. She has a background in education, mainly in primary schools, but also with adults. Veronica has tertiary qualifications in education, arts and theology, all with a sociological focus. 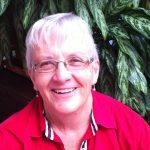 She is currently on the Good Samaritan Sisters’ Creation Resource Team and is energised by outdoor activities where God’s creative presence is evident. The Year of Consecrated Life: why this, why now? What do Pope Francis, Thomas Merton and Graham Greene have in common?